Released: October 2015. Genre: Racing. Other versions: PS4; VITA; XONE; X360; PC. During a recent conversation with fellow TPE writer and all-round gaming aficionado Shane, we struck upon a ratings phenomenon for the racing genre. Precious few seventh generation driving games have (thus far) merited a rating lower than a six out of ten from The Pixel Empire. We pondered at the time: Are we too soft on modern racers; are there really any ‘bad’ ones? Well, it turns out that sometimes all you need is a healthy dose of perspective. Over the last few years, we’ve been spoiled by the consistency of racing games, even those occasionally maligned for the frequency with which they were being wheeled out. Ridiculing titles for receiving numerous sequels and updates may appear a little fatuous when you consider the base quality that nearly all of the prominent retail series have delivered. The reason that a whole raft of Need For Speed titles, DiRT, Forza, F1 and the rest regularly score well is that, even with more disappointing entries such as DiRT Showdown and 2010’s Most Wanted, they’ve still had a foundation of smooth, fast racing, assured handling and high production values to fall back on. Sadly, WRC 5 can count on none of these attributes. It isn’t just the visuals that are affected. Handling is heavy and slow, the sensations of driving on snow, gravel and mud are utterly unconvincing and lack any semblance of fun or finesse. Only the tarmac rallies offer any trace of enjoyment, and even then it’s strictly relative, as the anonymous-feeling routes have zero personality, offering almost nothing to remember them by. Whilst it’s always fun to pick holes in co-driver’s directions, they have an odd habit not only of missing direction calls, but every now and then, lapsing into complete silence for five or six corners at a time. Collisions are crap; the sound effects even worse. Bollards float around like you’ve a magnetic bonnet, whilst two or three basic noises appear to act as a catch-all for hitting more or less everything featured in the game. Bizarrely, it’s also the only racing game I’ve ever come across that sees your speed increase upon traversing a water dip. WRC 5 keeps you guessing with its weird, and extremely liberal, interpretations on track limits. Sometimes it’s possible to cut giant swathes of course and get away with it, even if it leaves you feeling a bit dirty. On other occasions, straying a fraction inside a hairpin’s apex will result in the car being instantly, ignominiously respawned. Or, if it’s feeling less generous, land you with an instant, rally-ruining 30 second penalty. 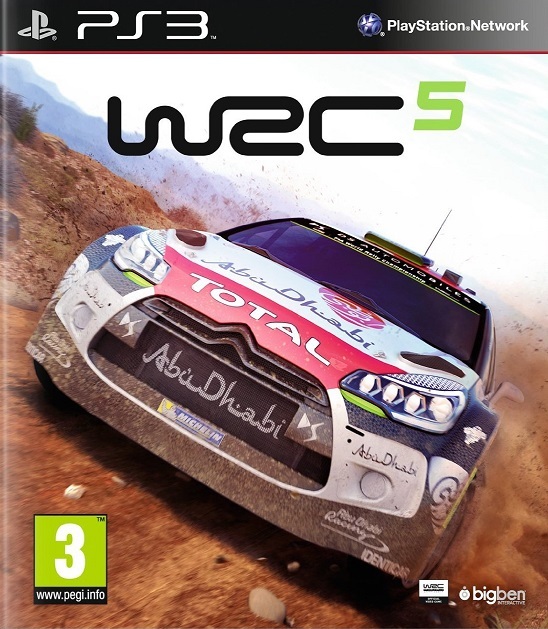 Unfathomably (though perhaps rather fittingly), WRC 5’s biggest, most complete failing comes in the form of its A.I. competitors. Which is going some, considering they don’t strictly have form, and the player never physically faces any competition. To recap: there’s no A.I., yet WRC5 still managed to mess it up. Barring something remarkable on one end of speed spectrum of the other, the computer opponents appear locked to an agonising destiny of finishing between 0 and 1.5 seconds behind the player. You can drive like a champion, or merely solidly, and there’s seemingly no differentiation, no distinction by-degrees. Having on one occasion half-decimated my tinfoil car through a handful of small impacts, I was left marooned in third gear and trundling around for nearly half of the stage. And guess what? I still topped the standings by 0.8 seconds. For what it’s worth, there’s a get-able Platinum trophy. I won’t lie though; the need to complete every single route in Quick Stage is a frankly crushing experience. Unfortunately; WRC 5 suffers the rough end of the last-gen stick. As well as looking threadbare and playing as though it’s a low-priority update, it’s also prone to freezing, both on loading screens and mid-stage. All in all then, attempts to capture the adrenalin, variety and excitement of the World Rally Championship fall utterly flat, whilst efforts to recreate the challenging nature of the sport are more a bi-product of the game’s deficiencies than concerted design. You may not read this in summary of many seventh gen racers, but WRC5 is one to avoid, unconditionally.